Cobb County is Atlanta’s sweet spot for a culinary scene. 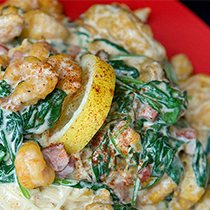 From posh, chef-driven restaurants to classic Bar-B-Q joints and diners, Cobb has you covered. Although we can barely scratch the surface, we’ve selected a few Cobb eating experiences that cover a wide range of foodie favorites. Here are 5 great Cobb County dining spots to get you started! For a full list of Cobb restaurants, see our Cobb Dining Listing. 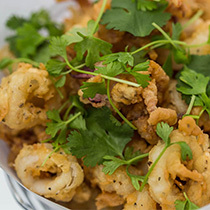 Muss & Turner’s is a neighborhood joint with no culinary boundaries and no pretense. Deli by day and bistro by night. Come as you are, enjoy yourself and be comfortable. Look for fresh, local and seasonal ingredients. Think of an upscale deli with a southern flair! A local fave in two Cobb locations – East Cobb and Smyrna. 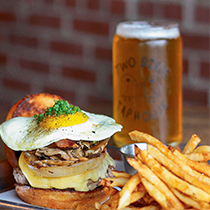 The Public House at Vinings is the newest social gathering spot in the historic Vinings neighborhood. From a seat at the bar, to fun conversations with friends lounging on the couches, or traditional dining, you will find an environment to oblige your every mood. The Public House believes in doing the simple things brilliantly. There is nothing complicated here. The menu features innovative, Chef-inspired, locally-sourced ingredients with an emphasis on shared plates to entice your adventurous side. It started with a love of food, Southern culture, and a desire to share it all with others. It happened thanks to the support of an entire community. Chef Henry Chandler opened Henry’s Louisiana Grill in 2000. Today, this one-of-a-kind restaurant is an award-winning community gathering place with local and national acclaim. A down-home restaurant and bar with the best Southern-inspired Cajun food you’ve ever had, hosted by charismatic Chef Henry, the heart and soul of the restaurant. 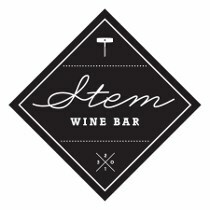 Stem Wine Bar, located directly next door to Seed Kitchen & Bar, offers a menu of European-inspired small plates, local charcuterie, artisan cheese and house-made desserts. Stem Wine Bar offers a unique wine menu focused on Italy, Spain, France and the U.S., as well as wine-inspired cocktails. Stem Wine Bar seats 40 guests, including 25 in a U-shaped bar, is serving 40 different boutique wines by the glass, along with a small plates menu. Dishes include charcuterie, artisan cheeses, and casual fare paired with recommended wines.